On Monday, SABC board member John Mattison resigned, the second after deputy board chair, Khanyisile Kweyama, did so at the weekend. On Monday night it was rumoured that a third board member was also set to exit. A serious crisis at the public broadcaster is at hand and is about to reach a spectacular and sad denouement. If only everyone would just stop being so shouty and can the political posturing. 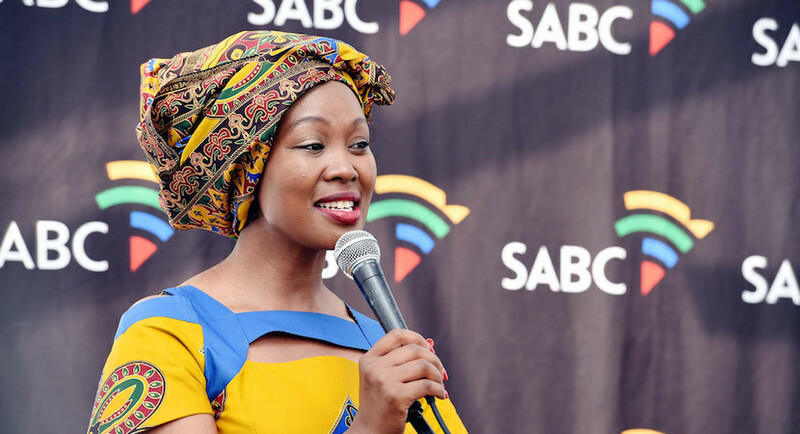 The resignations of Mattison and Kweyama came after an acrimonious meeting between the new Minister, Deputy Minister Pinky Kekana and acting Communications DG Mashilo Boloka and the SABC board on 29 November. Minister of Communications Stella Ndabeni-Abrahams. Only a few weeks in the sagging saddle and it has not gone too well for Ndabeni-Abrahams, who is now being accused of trying to interfere with a decision by the board to institute section 189 of the Labour Relations Act retrenchments of around 981 permanent employees and 1,200 freelancers as part of the public broadcaster’s urgent “turnaround” strategy. The retrenchments have been questioned by Parliament’s Communications Committee as well as the Standing Committee on Public Accounts. The board is accountable to Parliament, as is the Minister. But the showdown between the new Minister and the muscular board at the weekend might have had more to do with the toxicity of the history of the environment and the acting out of old scores and grudges than anything else. There are few places as fraught as the SABC, perhaps SARS while Tom Moyane was still Zuma’s pope having his ring routinely kissed. In the sober light of day and judging from reports from those who attended the meeting between the Minister and the board, there appears to be common ground on the foggy horizon and that the friction is more a result of the “style” of both the Minister and the board’s responses to the crisis. It did not help of course that the Minister and her entourage simply arrived at the SABC, bypassing the board and instead opting to interview unions and staff and by also excluding management from the talks. Ndabeni-Abrahams fired off an angry letter to the board after the meeting last week claiming that she was of the opinion that the board was “no longer acting in the interests of the company, the shareholder, and Parliament, the representative of the South African public to whom the board is accountable to”. She added that the board’s insistence that the section 189 retrenchments continue irrespective of whether the ailing SABC received a government guarantee or bailout left her, as the shareholder representative, with no option but “to desist from all engagements with the SABC board, including National Treasury and Turnaround Task Team”. An attempt by Ndabeni-Abrahams to find a solution might not have been met with as much hostility had she been a bit more diplomatic and strategic in her engagements with all stakeholders. She has, after all, been Thuma Mina’ed by He Who Has Brought a New Dawn. In this pressure cooker, it appears the Minister and the Board may have spoken past each other. Reports from the inside vary as to what really went down on Thursday. Eskom is falling apart (summer loadshedding) meaning economy won't grow. SABC is on life-support in ICU (3 board members jump amid looming job cuts). Unemployment is growing (27.5% in 2018 third quarter). Poverty is getting worse (30 million+ living under R992). Need I say more? There are those who claim Ndabeni-Abrahams issued a directive to the board to stop the retrenchments, thus overstepping her mark and mandate. There are others who say that she had asked that the retrenchments be halted while a R3bn government guarantee or bailout is sought. Board members, said another insider, had not, contrary to reports and also as quoted in Ndabeni-Abrahams’ letter, insisted that the status quo with regard to the retrenchments continue while the guarantee was being sought. The board, said the insider, was and is willing to review the pace of the section 189s should funding be secured. Both chair of the SABC board, Bongumusa Makhathini, board members, members of the Department of Communication and the Minister herself must find a way forward. If not, the SABC will swirl down the drain before March. And a fat lot of good that will do just before a general election regarded by many as even more significant than 1994 for the embattled governing party, the ANC. The board, whose independence was confirmed by the North Gauteng High Court in July 2018, is determined to claim its independence and it has done so so far. The public broadcaster has put in place one of the best management teams it has ever had.